What’s not to love about a steaming weenie? If you’re worried that you’ll regret going for it because wieners can be so dang messy, you can open wide with confidence! Now, you can indulge in a savage hot dog eating contest all day long and know that I Can’t Resist A Juicy Wiener Wipes will be there to clean up any “indiscretions” and nobody will ever know. 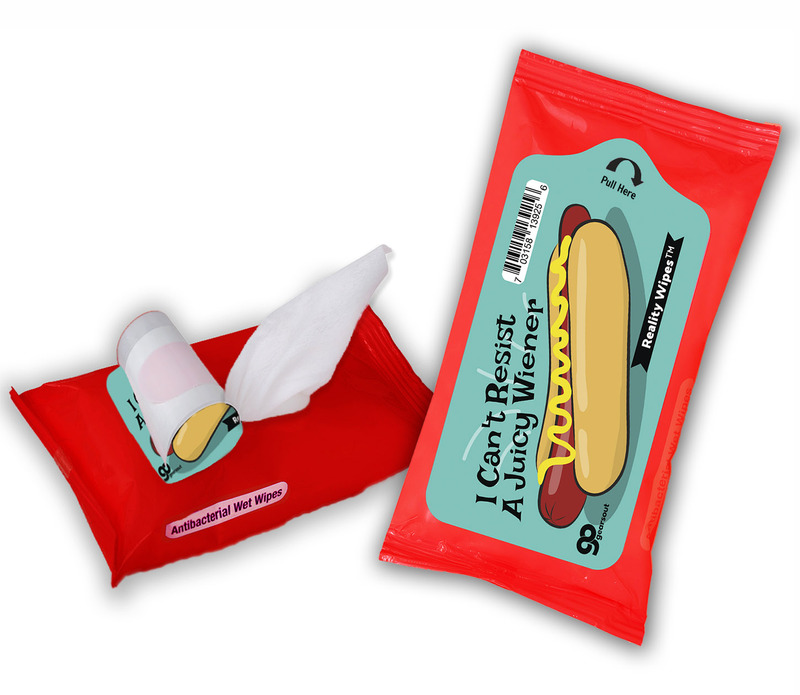 I Can’t Resist A Juicy Wiener antibacterial wipes are your first defense against rogue weenie germs. Just whip out your package and wipe down any unsightly splatters. Voila! No regrets! 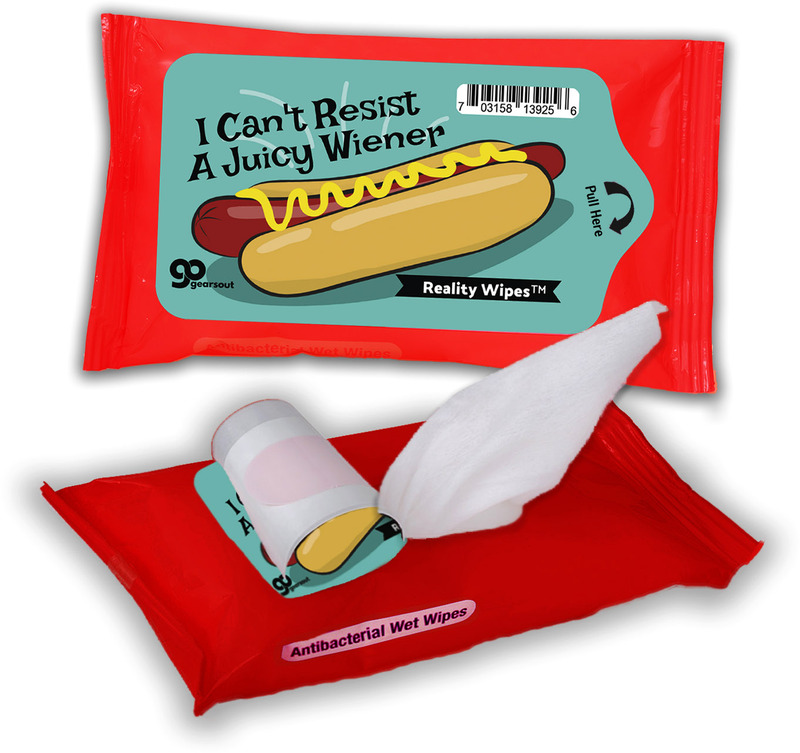 I Can’t Resist A Juicy Wiener Wet Wipes are perfect for anyone who can’t walk away from a hot and juicy wiener. This saucy hot dog gift for adults is a weird stocking stuffer, fun white elephant idea, Secret Santa gift, or silly addition to birthday gift bags, care packages, or Easter baskets for adults.